When most people think about storing their belongings away, they think about items that no longer have a spot – even in the garage. 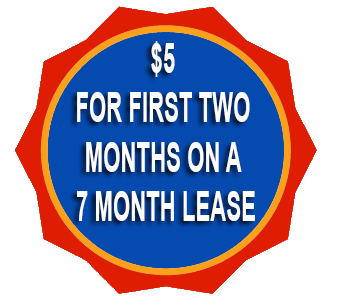 That is certainly a popular reason to rent, but college students also have a need for the services we provide at Stor-America Superior. Commonly, college students will use storage during the summer break to avoid hauling furniture back home only to bring it back to school in a few months’ time. At Stor-America Superior, we are proud to meet local student storage locker needs. Whether you are a student at nearby Purdue University Fort Wayne, or any other area school, we’d be glad to serve you. And, as we understand that college students are usually on a tight budget, we’ll make sure you get a great price. Contact us today to get started! 10:00 a.m. – 2:00 p.m..